This chaise lounge features a heavyweight cotton detachable mattress and sturdy metal frame. This sturdy and fun twin bed fron Enitial Lab features a playful car profile making it an instant hit for any child's bedroom. With a powder-coated steel frame, this Twin XL bed frame is fold-able for easy storage. This White Twin Size Bed is Pretty For any Little Girls Room. Bed Features a Carved Daisy on Head Board. Matching Night Stand Available But not Included in Price. 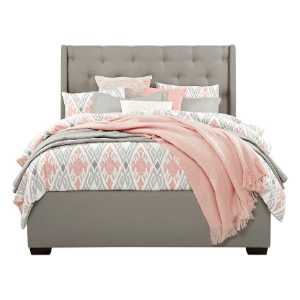 Head Board Size: 48 In. (H). Foot Board: 26 In. (H). Night Stand: 26 x 17 x 27 In. (H).